Working on this, I started thinking of what a circus of scripture heroes might look like. Of course, you'd have no shortage of fortune tellers at your disposal; while Samuel the Lamanite would probably be an awesome acrobat and Samson could out strong man anyone. 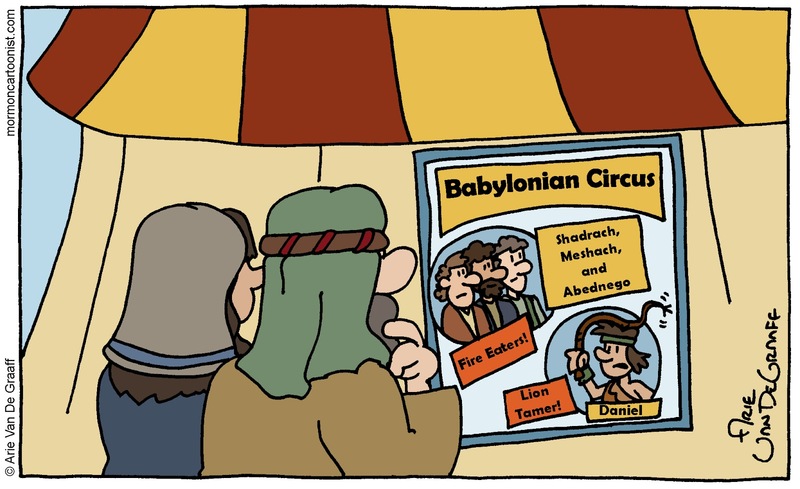 Of course for today's gag to work, it helps that Daniel and Shadrach, Meshach, and Abednego were contemporaries in ancient Babylon. Whoa, even making sure to have historically accurate timelines. That is dedication to the facts. No anachronisms for your cartoons. 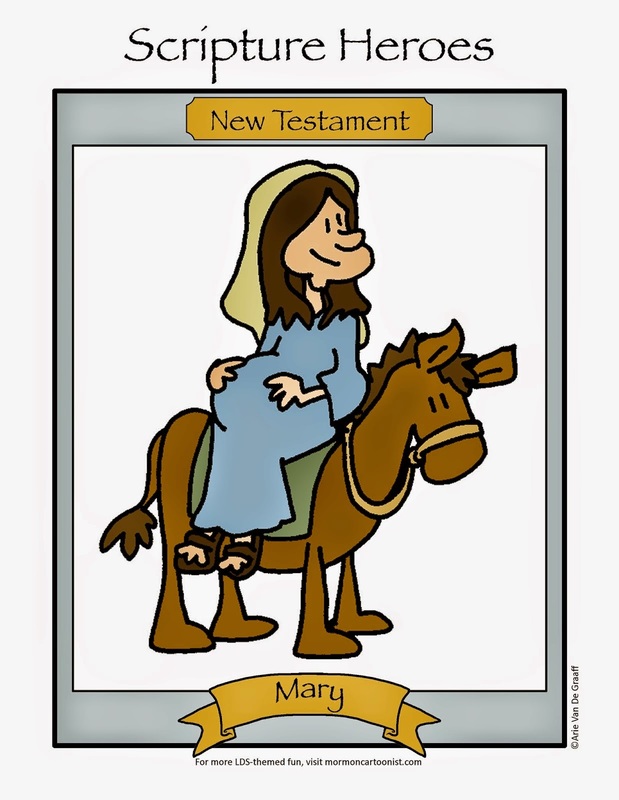 Too bad there's no bearded lady or dog-faced boy in the Bible.